When it rains, it pours for Sony rumors and releases today. Based on the leaked roadmap for 2012, the ST21i "Tapioca" will be the most affordable phone in Sony's lineup for the year, and when all is said and done it should be available in July, along with the high-end LT29i Hayabusa, for $150-$200 or Euros without a contract. The ST21i Tapioca we saw listed before with an 800MHz Qualcomm CPU, that the Google translation from Greek calls "mononuclear", which after a good laugh in the office we deduced to mean single-core. It will also have a 3MP camera that does VGA video and 3.2" display with HVGA resolution - meh, we know, but the price is also pretty low. Now we can have a glimpse at its design, too, thanks to pics leaked on a Greek tech blog today.Good news is that the design is not as bland as the specs, on account of the cascading front. Still, if the Samsung Galaxy Ace 2 we just previewed is anything around that price, Sony would have a hard sell against its dual-core processor and 5MP camera with flash. The ST21i Tapioca is to hold a 1460mAh battery inside, and run Android 4.0.3 Ice Cream Sandwich out of the box. This phone is not competing with the ace 2.It is the mini 2. 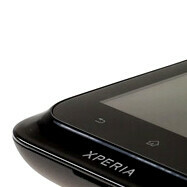 The Xperia p is the one competing with the ace 2. 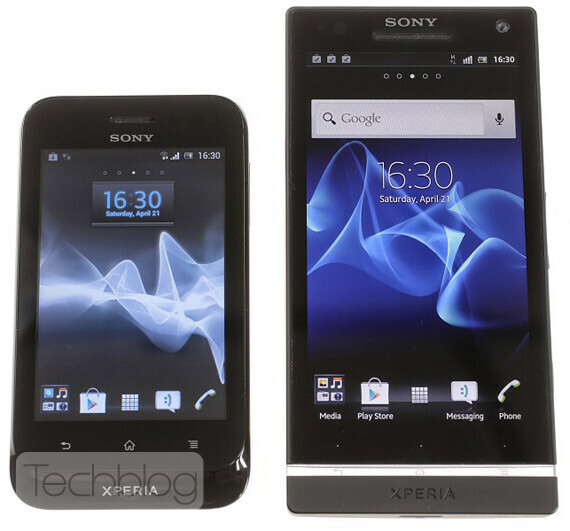 I think the Xperia P is competing against the Galaxy S Advance. The Galaxy Ace 2 looks to be against the Xperia U to me. Spydroid on board? No Thanks. I wonder if Sony will release an Xperia Active 2?? This phone looks like the new Xperia Mini line update..